In all our dealings with Storage King Wendouree they were very helpful and provided excellent customer service. The site was very secure and clean. Definitely recommend them. This is the second time we have used Storage King.Their service is impeccable and storage shed is squeaky clean. The security of the sheds gives you peace of mind. The whole process was explained and made very easy with Sue. She was very helpful, friendly and professional. We will certainly recommend Storage King to anyone that will listen. Thanks so much. Bill and Louise Cole. 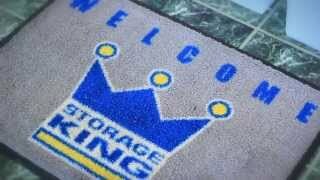 Friendly service, extremely helpful, I would highly recommend storage king too any of my friends or family. These guys are awesome So helpful and friendly and always there to answer any questions you have. Excellent facilities and great access. A great storage solution for all our needs. Thanks guys. Very happy with the service. Staff are lovely to deal with, when we had an issue with the lock being stiff it was replaced then and there. Staff are wonderful do deal with and the units are very clean. Very happy I went with Storage King Wendouree. My experience with Storage King Wendouree is the staff of both Sue and Libby provide excellent customer service and I would recommend them for anyone wishing to utilise long term storage. Keep up the smiles and good work. Thank you. In calling around to find a storage facility, there was no where more friendly, accommodating and helpful than Storage King Wendouree. When I when in to book the space, I was provided with a tour of the facility and was personally assisted with the paperwork. Excellent customer service is hard to find, but credit where credit is due! Direct debit and considerate access hours make this the perfect 'inbetween houses' solution for my items! Thank you!! I have used Storage King Wendouree for 6+ years to store my belongings while living overseas. I have been very happy with their service and have never had a moments concern about my belongings. I have found the staff very helpful and friendly and have never had any problems entering the site to check my stuff. I would (and have) recommend them to anyone needing short or long term storage. 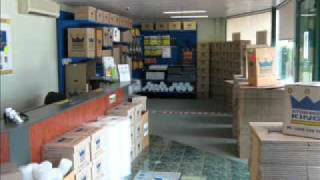 Storage King Wendouree have been extremely easy to work with in regards to arranging a storage facility for our house. They are very responsive to our needs, in person and over email. We would highly recommend them. Very reliable service staff are very helpful, storage containers are very well cleaned and safe. 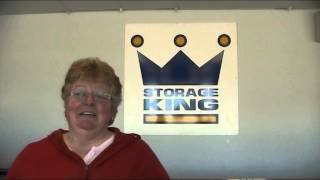 We have used Wendouree Storage King for many years and have found it to be wonderful. The staff are very friendly and helpful and always willing to make you happy. The sheds are very clean and well maintained. I would recommend Wendouree Storage King to anyone, give it a try you wont be disappointed. This is the 3rd time I have used this facility, I have always found it very clean and well secure. The staff are very helpful and pleasant. It is also situated in an excellent position and easy to access. I would highly recommend this company for your storage needs. Great friendly service with all the answers. Very clean facilities, secure and easy secure access. Wouldn't bother to look anywhere else. One phone call to Storage King Wendouree is all you need to relieve the stress of moving house or storing business records and files. Our professional and courteous staff ensure your goods will be stored in the most secure, convenient location in Ballarat. Storage King Wendouree proudly services Lake Wendouree, Ballarat, Ballarat Central, Ballarat City, Lake Gardens, Ballarat North, Alfredton and Miners Rest.